Plot summary: Lili goes wild with all sorts of gifts, but the best is the box a gift came in. She can use it to play in many ways; it’s a coach, a pirate ship where she is the pirate and a dog house. The main character is a girl with a ribbon in her hair and all. But the traditional gender roles are challenged in the book because in the illustrations she appears to be wild and living in a fantasy world, playing with her cardboard box. It is more common that we see girls playing with more “authentic” objects, so it is somewhat untraditional that she is living so much in her imagination. She also uses the box as a coach with a prince and princess, where one could imagine that she would want to be the princess, but surprisingly she acts as the horse. 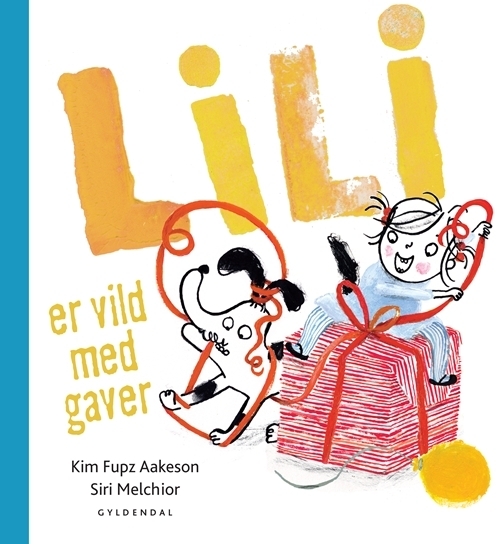 One also assumes in the book that the dog is a boy, as animals often have a feminine touch in picture books, but the dog plays with dolls at the end of the book, which also is somewhat challenging.